If you like this wood sunglass display stand, be sure to see another nice wood counter top sunglass display. 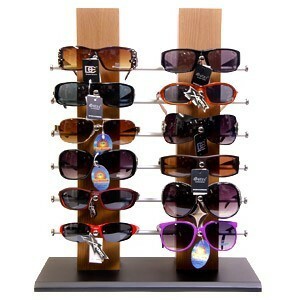 • Attractive Counter Top Sunglass Display Rack. This is such a popular Sunglass Display because of the price and it is very practical fitting just about anywhere.